AV Design Services (AVDS) is a international provider of Broadcast and Professional-A/V systems design and integration services. The leader in engineering, design, consulting, project management, custom fabrication, system support and post-installation services, AVDS systems engineers have been providing broadcast solutions and services to major media & entertainment companies for more than 35 years. 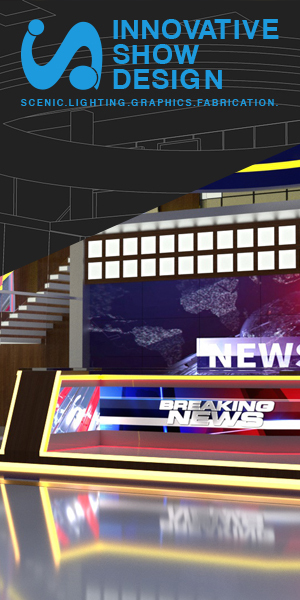 AVDS is the first choice among the industry’s best set designers and set fabricators or we can work independently supplying our broadcast clients the best video display solutions available. AVDS can also take the guess work out of compiling your set upgrade team. AVDS works with industry’s best set designers, set fabricators, and set lighting firms. All seasoned professionals with years of experience combined with Emmy award winning credentials. Headquartered in Lumberton, NJ, the AVDS team brings Emmy Award-winning expertise and professional integrity to every client engagement. AVDS is staffed with a talented and responsive team of engineers, highly skilled in a full spectrum of professional AV services including specialized development and support for broadcast facilities, set tech & control room tech, and we have years of experience with command and control centers. When it comes to AV Design Services, AVDS does it right.